Pollard English School is a member of the Australia China Business Council (ACBC). The ACBC is the premier business organisation dedicated to promoting business and trade between Australia and the People’s Republic of China. At Pollard English Language Centre we create an open environment to support students so they feel respected and appreciated. We understand the difficulties of trying to communicate in an unfamiliar language and we are supportive of students through their learning journey. Students are given an Individual learning plan that they can use to monitor their progress. To know more about Pollard English, please visit Pollard English website. The programs offered at CHC Services are based on the needs of the community. The qualifications offered at CHC Services can give our students the skills they need to kick start their career or further their current career prospects. The Australian College for International Studies (TACIS) is a trading name of CHC Services Pty Ltd, a registered training organization in Australia. (Registered Training Organization No: 32463). TACIS is also approved by the Australian Skills and Quality Authority (ASQA) to recruit international students (CRICOS Provider No: 03396F). The programs offered at TACIS have been specifically designed to cater for the needs of the communities and students who are interested in careers as childcare educator and carer, financial planners, accountant, bookkeeper, brokers etc. With dedicated trainers and caring administrative staff, TACIS provides students with a nurturing atmosphere which is conducive to success in their studies and future career development. To know more about TACIS, please visit TACIS Website. The academic programs offered at The Institute of International Studies are built around the needs of industry. On completion of your degree you will be ready to take your place in the workforce. To assist in this transition, TIIS link their courses to industry accredited standards where possible and appropriate. For example, all our Master of Professional Accounting graduates will be eligible for accreditation with CPA Australia and Chartered Accountants Australian and New Zealand (CAANZ). Our close relationships with industry will help you confidently enter the growing “ever-smaller” global village and help meet its need for professional workers. We understand that your decision to study with TIIS is a very important step; either to build a successful career as a professional or as a step toward further academic achievement. TIIS is committed to providing you with a high quality educational experience and support services to ensure that you meet your expectations. To know more about The Institute of International Studies, please visit TIIS website. To know more about the pathway courses between SIIT and UWS, please visit the University of Western Sydney website. ONCALL Interpreters & Translators is a world leader in quality interpreting and translation services. With an outstanding reputation for excellence and integrity, ONCALL offers a full range of services for public and private sector clients. Established in 1984, ONCALL manages a comprehensive panel of over 4,500 qualified interpreters and translators in all languages and disciplines. ONCALL has an unparalleled global presence with offices in eight cities on three continents and has access to some of the best interpreters and translators in the world. Each week our booking officers fill over 7,000 assignments in more than 150 languages. Every year we translate hundreds of thousands of words and provide conference interpreting services at major international conferences in Australia and overseas. With extensive experience and industry knowledge, ONCALL can tailor services to meet the changing needs of clients. We employ a dedicated team of in-house professionals in specialist areas including client management,Website localisation, E-Commerce site localisation, App translation, graphic design, public and community relations, localisation of marketing collateral and professional development training. To know more about ONCALL Interpreters & Translators , please visit Oncall Website. 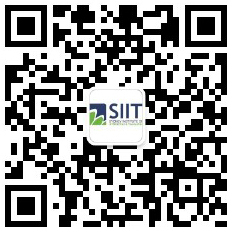 With the development of business, SIIT is looking forwarding to working with more education service providers Australia and worldwide, and expecting to establish long term and stable partnership to work together to provide our students with unparalleled student experience and bright career. For more information regarding the joint education or business partnership, please contact our CEO Marshall at coordinator@siit.nsw.edu.au.